I’m not overweight. 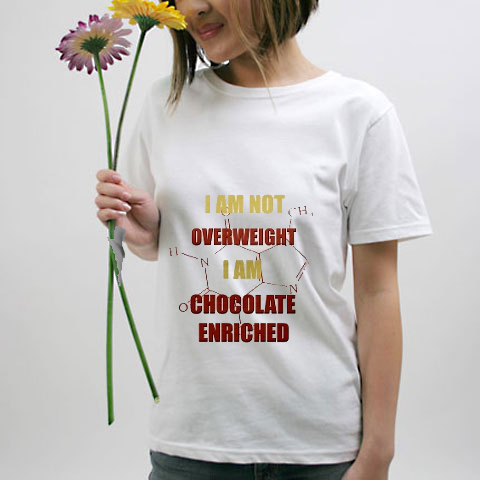 I am Chocolate enriched!!! Important!! Created in the Amazon more than 4000 years ago from cocoa beans, chocolate has become a mania all around the world, a strange desire of passion, romance, incredibly sweet moments – a magical taste and infinite aphrodisiac powers.